At Arboretum Dental, our patient-centered approach begins with a comprehensive examination. We schedule an hour-long visit focused on getting to know you. 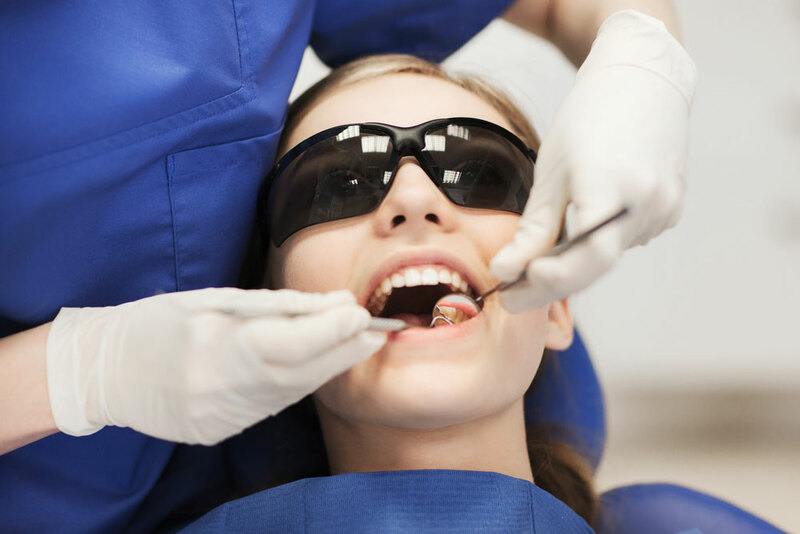 We start with a thorough review of your medical history, followed by taking any necessary digital radiographs and photographs to obtain an accurate assessment of your dental health. Another important part of every new patient exam, and every periodic exam after that, is the oral cancer screening. We also complete a charting and review of all previous dental work, which is recorded and saved in our computer system for future visits. The last portion of the exam involves a complete periodontal charting, which is a method for establishing your periodontal (or gum) health. This helps our team determine the most appropriate type and interval of cleaning for you. All of this information is then shared with you on a computer screen so that you are essentially able to see what we can see. We want you to be educated before making any treatment decisions, and we encourage you to ask any questions at all during this time. In all but the most complicated scenarios, you are able to leave that day with a personalized treatment plan. At Arboretum Dental, we are passionate about the importance of preventive cleanings and proper oral hygiene to maintain optimal dental health. Our experienced dental hygienists are capable of handling a wide array of services, from children’s cleanings to all but the most advanced stages of periodontal disease. The amount of time needed and the frequency of your cleaning will be determined based on a thorough assessment of your dental health. Whether you need a routine cleaning or a more involved procedure for periodontal disease, we will demonstrate the proper tools and home care recommended for your individual oral condition. These recommendations can range from an electric toothbrush to topical or prescription fluorides or rinses. No matter what your dental needs are, our primary goal is to is to help provide you with the necessary support and education to keep your teeth healthy for a lifetime.